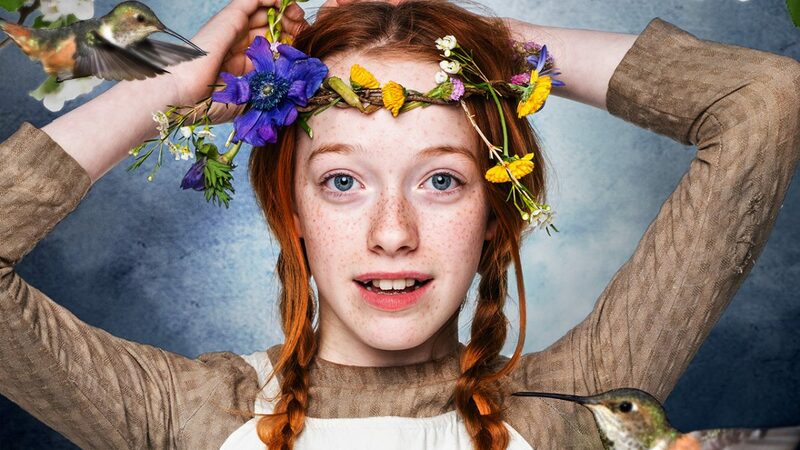 I was a bit surprised but happy to find Anne with an E, Season2, back on Netflix and immediately clicked on the first episode and stuck. In these times we can all do with a bit of Anne of Green Gables to sweeten up a few hours. And, yes, she’s still an excitable dreamer that we got to know in Season 1. Although 2 years or so had passed since the end of Season 1. I started watching the first four episodes and had to stop or might’ve watched the entire series in one night! Anyway, when we last saw Anne, she and Jerry had returned from a visit to Aunt Josephine with two grifters in tow. At the start of Season 2 the grifters, Nathaniel (Nate) and Mr Dunlop, are settled into life at Green Gables and have started putting their plans into place in order to benefit financially at the expense of the good people of Avonlea. Of course, busybody Anne won’t let them have it all their own way. Gilbert meanwhile is working on a steamer ship, travelling the world and has befriended a Jamaican man. I don’t want to give away too much about the first few episodes, except to say that although Anne, Diana, Gilbert and the rest of their schoolmates have all grown a few centimetres since Season 1. Other than that, Anne with an E moves seamlessly between the seasons. There’s still the same charm. Anne is still Anne. Matthew and Marilla are still themselves. Which is pretty much all I can ask from a series whose first season I loved.